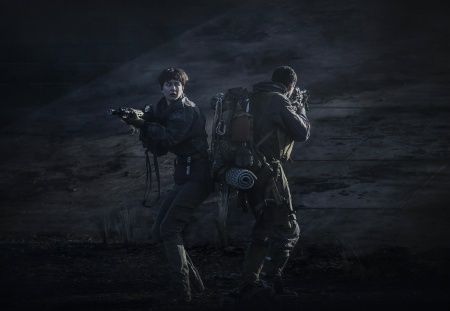 Alien: Covenant is the fifth standalone installment in the Alien film franchise. 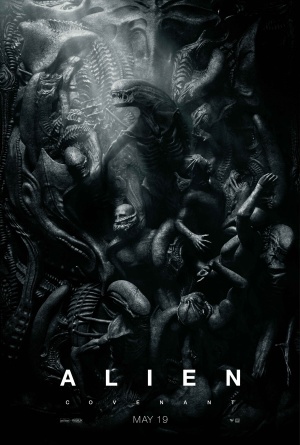 Ridley Scott returns to direct the 2017 science fiction feature, which is set around a decade after the events of the preceding film, 2012's Prometheus and follows the crew of the colonization spaceship Covenant, who land on mysterious planet and soon encounter a force that could threaten all their lives. Michael Fassbender reprises his role as David from Prometheus as well as portraying another android named Walter. Daniels (Katherine Waterston) is seen holding a Beretta 92FS Brigadier when they are preparing to evacuate. Daniels aims her pistol at David (Michael Fassbender) but he knocks it out of her hand. 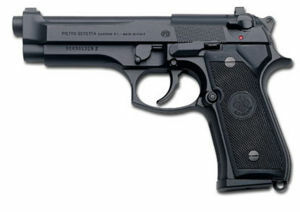 Rosenthal (Tess Haubrich) is seen loading a Beretta 92FS Brigadier Inox pistol. 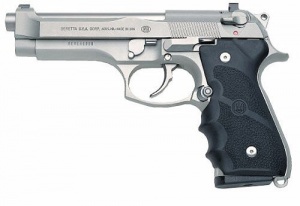 The weapon has Hogue wrap-around grips, a tactical light, and a black hammer and safety/decocker. Rosenthal reaching for her pistol when she sees the Alien being. 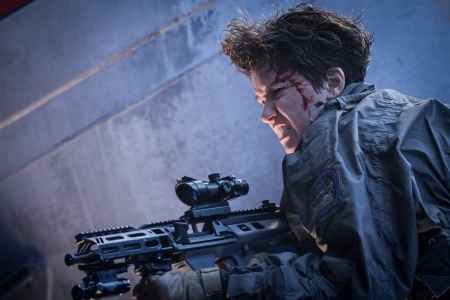 Daniels (Katherine Waterston) and some of what seems to be Covenant's security forces are seen with modified Thales F90s with ACOG scopes. The rifle is fitted with an extra railed handguard ahead of the receiver which shrouds the exposed portion of the barrel. The Firearm Blog reported that the F90s are actually Lithgow ATRAX models, a version of the Thales F90 available for the United States. Daniels (Katherine Waterston) uses her weapon. Daniels (Katherine Waterston) aims a modified Thales F90 in a still first published by USA Today. The Covenant's security forces are also seen using AR-15 variants with optics, including an EOtech holographic sight. 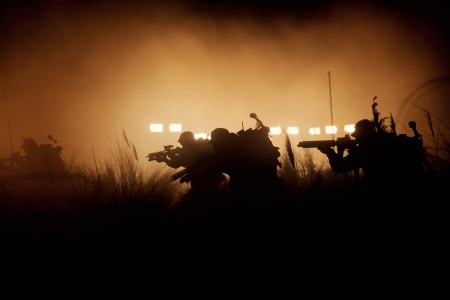 Covenant security with AR-15 variants (on the left and right) in a picture released by the Twitter account "" (with the number "220512052104" attached, which is possibly when the film, or at least this particular picture, is set: 22:05 12/05/2104). Also note the Colonial Marine shoulder lamps-style GoPro mounts. A security officer at the right holds the rifle. A security officer holds the rifle. Maggie Faris (Amy Seimetz) uses what appears to be a shortened and customized Remington 870 shotgun in a botched attempt to kill the Neomorph that hatches from Ledward. This shotgun is also used by Janet Daniels (Katherine Waterston) and Tennessee Faris (Danny McBride). Maggie Faris (Amy Seimetz) uses what appears to be a shortened and customized Remington 870 shotgun. Maggie wields the shortened and customized Remington 870 shotgun. The shotgun is wielded by Maggie. Maggie Faris fires the Remington 870 shotgun. The shotgun is held by Tennessee Faris (Danny McBride). Janet Daniels (Katherine Waterston) armed with the shotgun.